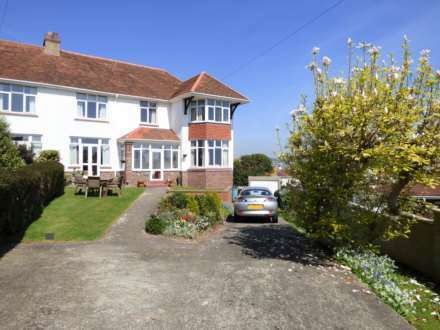 Located in a convenient position offering easy access to the towns amenities, leisure facilities and shops along with excellent transport links to Exeter and Torquay, this surprisingly spacious mid terrace residence has been lovingly maintained and offers a lovely mix of period features and modern family living. Benefiting from three reception rooms, kitchen and utility room along with a cloakroom on the ground floor, the first floor plays host to a master suite including dressing room and ensuite and three further double bedrooms and a shower room. With private south westerly outdoor space, ideal for alfreso dining and off road parking, this is a great home with lots of character well worth viewing. The town itself boasts a comprehensive range of amenities and facilities, good primary and secondary schooling, a thriving high street and a number of super stores. With a main line train station offering access to London, the transport links via rail and road to Exeter, Plymouth and Torbay are superb and for the outdoor lover, Dartmoor National Park and the beautiful beaches along the south Devon coastline are within easy striking distance. Period cornice work, dado rail, tall skirting boards. Coat and hat hooks and shelf above. High level fuse board and meters. Karndean flooring and a Victorian glazed door to entrance hall. Coving and period Corbel arch. Stairs leading to first floor with two useful storage cupboards below. Concealed radiator and Karndean flooring. Door to cloakroom. Obscure double glazed window to side. Low level flush WC, wash hand basin with tiled surround. Period cornice work, picture rail and ceiling rose. Feature double glazed period window to front aspect. Tall skirting boards. Ornate fire place with granite hearth, marble mantle and surround, incorporating a living flame gas fire. Television aerial point and radiator. Period cornice work. Double glazed window to rear aspect. Superb period fire place with cast iron grate, tiled inset and marble surround and mantle. Tall skirting boards. Telephone point and concealed radiator. Textured ceiling. Obscure double glazed window to side. Space and plumbing for washing machine and tumble dryer above, space for upright fridge freezer. Radiator, bar heater, drying area and slate tiled flooring. Coved and textured ceiling with hatch to loft space and double glazed high level window to rear aspect. Open balustrade split landing to half landing. Coved and textured ceiling. Double glazed window to side aspect with built-in cupboard below. Doors to shower room and master bedroom. Part vaulted ceiling with double glazed window to the rear aspect. Bath suite comprising of, panelled bath with Victorian style telephone mixer tap and shower attachment, tiled surround, low level flush WC, pedestal wash hand basin and radiator. From half landing. Bulkhead light and extractor fan, obscure double glazed window to the side. Low level flush WC, pedestal wash hand basin with mixer tap over and illuminated mirrored cabinet, tiled corner shower cubicle with mixer rain shower and hand held attachment. Karndean flooring and chrome effect ladder style heated towel rail. Coved and textured ceiling, double glazed window to rear aspect, period fireplace with wooden mantle and surround, radiator. Coved ceiling, double glazed window to front aspect, radiator. Coved ceiling, double glazed window to front aspect and radiator. To the front of the property there is gated access with path and steps leading to the front door with level tiered gardens laid to bark chippings and rockery with specimen and seasonal planting. The rear garden comprises an area of level patio with outside lighting, water tap and power point with steps leading to a raised patio area, with views across to Dartmoor, ideal for alfresco dining. Gated access to off road parking for two cars. The rear garden enjoys a south westerly aspect and offers a good degree of privacy on the patio area.